Totally unexpected, completely wonderful and mega brilliant. Oh, and of course unabashedly gorgeous. 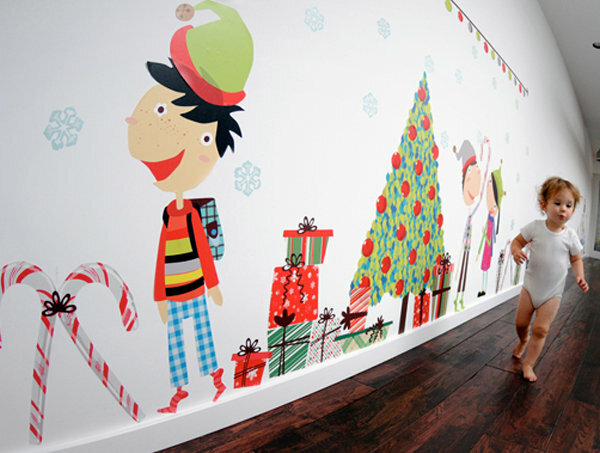 That’s my opinion on the brand new Pop & Lolli fabric wall decals. 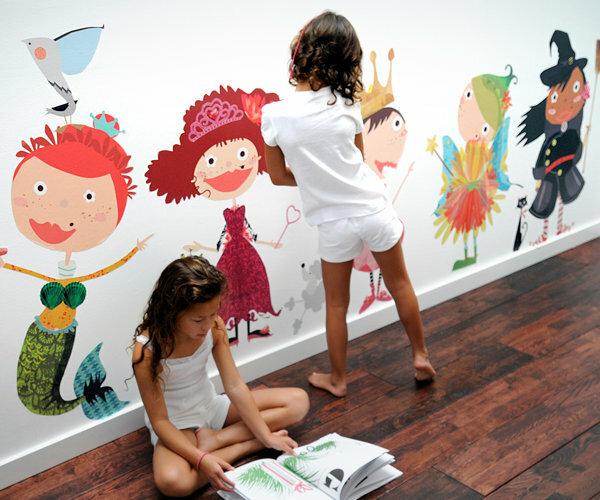 They’re really like nothing else out there – and believe me, after scouring the world for wall decals for my daughter’s bedroom – twice – I’ve seen just about everything. 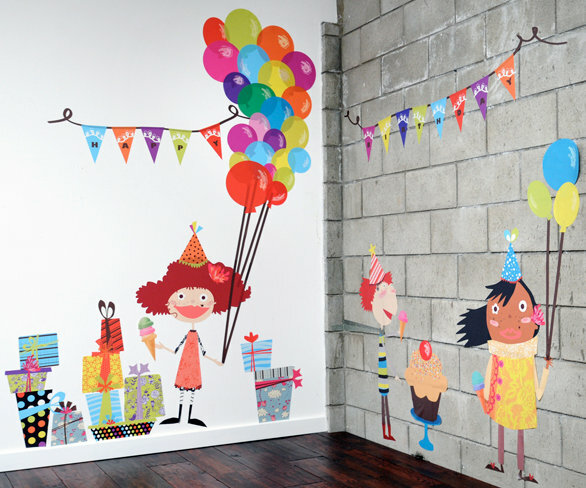 Pop & Lolli’s reusable (over and over again) fabric wall stickers are cute, no doubt, but they’re also quirky and lots of fun. Which is what makes them must-haves for a little one’s bedroom. Cast your eye over the impressive features list of these made-in-the-USA decals: ultra easy to install, they’re reusable and made with non-toxic materials and eco-friendly water based adhesives and inks. The premium finely woven fabric won’t shrink, curl, peel, rip easily, stretch, wrinkle, crack, harden or leave a residue. I’d say Pop & Lolli have covered all bases and more. 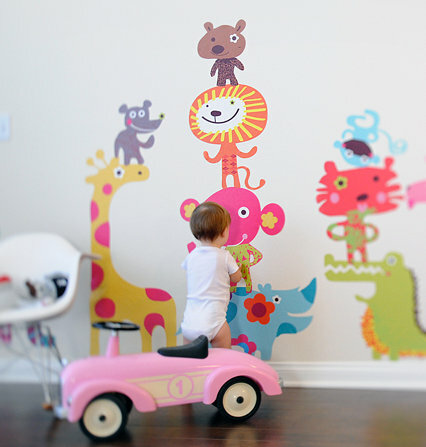 The other rare thing about these wall decals is their size. They’re big. 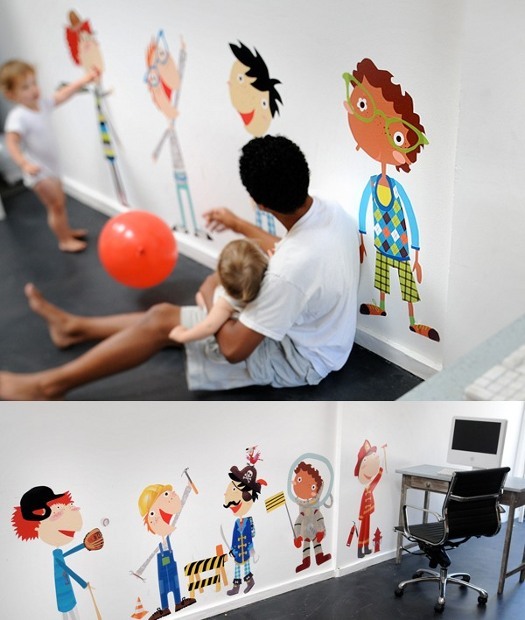 Big enough to make an impact, almost life size and stimulating so boys and girls can actually interact with the art. I’m trying to figure out a way to get my hands on my favourite decal, the ‘Glitzy Girls‘. Which is your fave? And more importantly, which one will be making it onto your little one’s wall? To buy, go to Pop & Lolli. The choices are wide from delectable girls and boys to colourful African animals to ‘Special Occasions‘ (like ‘Fun Times‘ with its very cool combi van, or the Christmas decorations). Prices range from US$62 to US$290, plus postage to Australia. Each set includes an astounding number of decals and there’s even accessory sets for purchase to dress up the creative characters. Be sure to click here to learn more about Chic 2 Change, the charity that receives a portion of proceeds from every decal set sold.